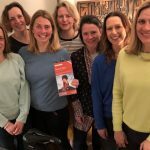 Marshfield CC coaches Louisa Gwilliam, Amy Thompson, Clare Webb, Rachel Cooper, Keira Prince, Kirsty Bushell and Charlotte Barton – with Rachel Cull as support – will cycle all the way from England’s West coast to its East to raise money for Royal United Hospital Bath. 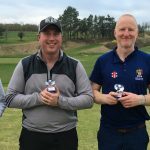 24 teams took part in the event at Cirencester Golf Club which was won by Cheltenham CC. From cub scouts to club cricketers and schoolchildren to shopkeepers, people from across the city came together to celebrate the countdown to this summer’s tournament. The Falcons – who are the county’s only disability cricket club – require a coordinator that is willing to give up to eight hours a month. The famous trophy will be in Bristol from March 8-10 as part of the countdown to cricket’s showpiece tournament. Driving and improving youth cricket in Gloucestershire is central to the aims of the Gloucestershire Cricket Board. Enthusing youngsters by giving them the best cricketing opportunities available is central to creating future players at all levels of the game from club cricket to the England team. Gloucestershire are committed to supporting the ECB in the identification of talented players and involving as many youngsters in the game of cricket as possible. The county currently boasts over 100 clubs with junior sections, all of which play in some form of competition from under nine festivals to under 17 leagues. 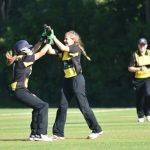 Girls cricket in Gloucestershire has also grown rapidly in recent years to the point that there are now 14 cricket clubs with girls sections and many more with girls playing informally. The growth in the number of clubs with girls sections has now enabled girls-specific leagues and competitions to be established across different age groups from under 11 Kwik Cricket to 20 over hard ball leagues for under 13 and under 15 groups. Girls cricket has grown rapidly over the last few years and their are now 15 cricket clubs with girls sections across the county and many more clubs with girls playing informally. All Stars Cricket – the biggest youth initiative to be introduced in the UK is back for 2018. 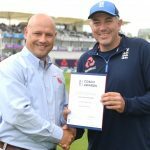 In Gloucestershire we are very fortunate to have a large number of committed volunteers who devote their time to providing coaching and competition for the county’s young players. 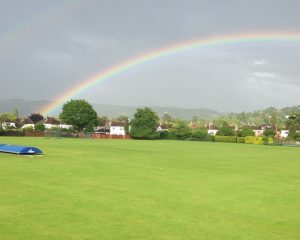 Within Gloucestershire we take the welfare of our coaches, players and volunteers extremely seriously. The Falcons – who are the county’s only disability cricket club - require a coordinator that is willing to give up to eight hours a month. The Lord’s Taverners- funded scheme is in the running for the Partnership Award along with JumpStart Food and Fitness CIC, FareShare South West and the Wellspring Healthy Living Centre who joined forces to deliver a groundbreaking project that brought cricket, physical activity and healthy eating to families in Barton Hill. The Introductory Training Course for 14-18-year-olds is at Dean Close School, Cheltenham on April 12 and costs just £5. Gloucestershire clubs are being given the chance to get their hands on the Cricket World Cup trophy. The showpiece tournament is being held in England for the first time in 20 years and the GCB is planning a variety of special events to help children connect with it. The Gloucestershire Cricket Board (GCB) wishes to appoint two Cricket Apprentices. The posts will have a focus on developing opportunities for young people in schools to play and enjoy cricket.